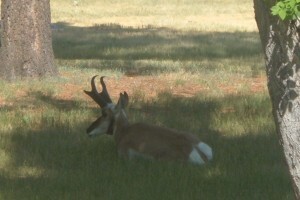 Antelope are a sight I see every day. Hundreds of these agile creatures call the Wyoming community where we live home. They are beautiful animals; their dark horns and eyes a striking contrast to the tan and white stripes on their necks. The pronghorns, as they are also known, form larger herds in the winter, frequenting our residential areas in search of a blade of grass or a pile of leaves poking up through the snow. In the spring and summer, when food is more plentiful elsewhere, they spread out. From what I understand, they are rarely solitary. So I thought it was peculiar when I first spied the lone buck that May. I’d notice him in the field adjacent to our house, sunning himself or munching on some foliage. He was a majestic figure. His horns towered above his head like a crown, and, judging by their size, he was not young. I was inspired by his nobility and quiet strength. He seemed unrushed, content. I, on the other hand, was anything but a picture of calm. An unanticipated personal storm had recently descended upon me, and my stress levels were high. It was an emotional time, and my anxiety manifested itself in physical symptoms ranging from eye twitches to chest pain. I had never been through anything quite this intense before. I began to notice that the antelope was often nearby. He seemed to appear just when I most needed a reminder that I was not alone. I felt strangely comforted, protected, and guarded. (With the exception of the night my daughter called to inform me that the antelope was eating my newly-budded daisies! I told myself that a few flowers were a small price to pay for the pleasure of his company.) 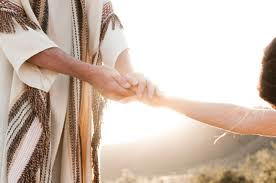 His presence became to me a symbol of the nearness of God. I had never paid much attention to the word “guard” before, but that night it seemed to flash like a neon sign. The study note in my Bible below the verse read: “guard…a military concept depicting a sentry standing guard.” I could picture God’s peace, standing like a military security guard at the gate of my heart, denying access to worry and fear. 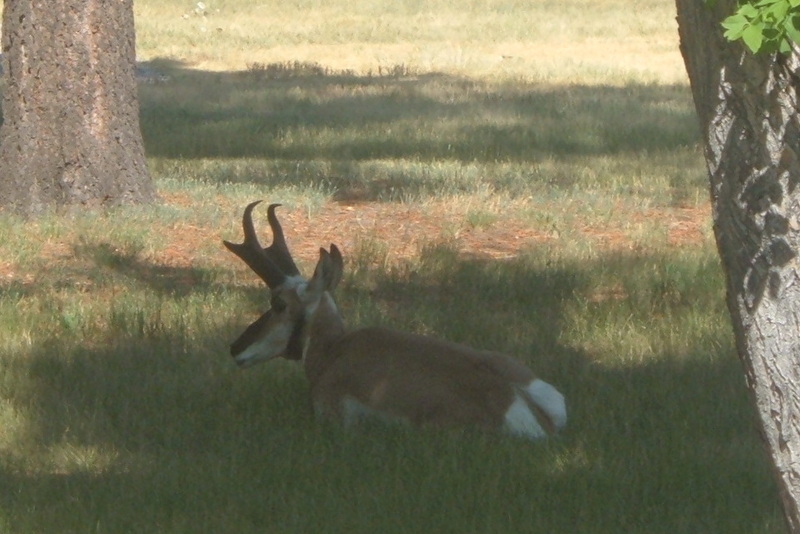 The very next morning I noticed my antelope friend, bedded down across the street. Wanting to savor the moment, I poured a cup of tea and settled into a chair on the porch. Just then I observed something about the buck that I had previously overlooked. He was lying in the shade of a pine tree directly in front of our house, but I hadn’t paid much attention to his position. He actually had his back towards me, facing out, as if he were guarding our house! I was moved to tears by yet another reminder of the Lord’s vigilant presence. I pondered this vivid picture God had given me that summer of His protective care. I felt surrounded by His peace and enveloped in His love, overwhelmed that He would go to such lengths to provide tangible evidence of His nearness during a trying time in my life. God never promised to insulate us from heartache and storms. But He did promise to be with us, and to guard our hearts and minds with His peace. “The Lord Himself watches over you!” declared the writer of Psalm 121, “The Lord stands beside you as your protective shade.” If you find yourself in the middle of a difficult season, know that God is always close at hand, and then be on guard yourself! He may “show up” in the most unexpected places.